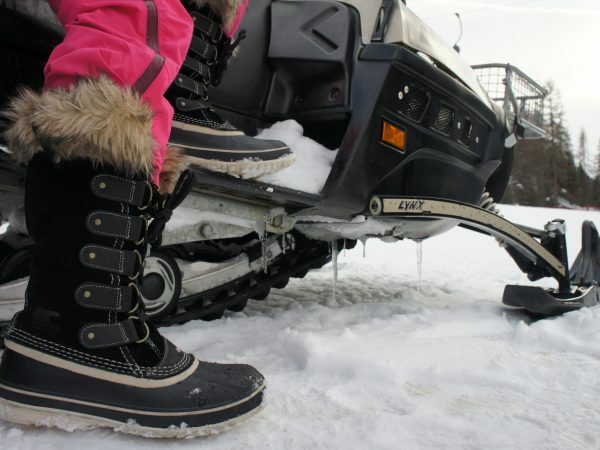 The Winter season was about to begin and we faced that age old 1st world problem of too much winter equipment and gear, and what seems to be shrinking airline luggage limits, which usually results in any type of outdoor boots other than ski or snowboard boots being left at home Sadly. However this season was to be different! Cheeky and I were lucky enough to spend the season donning a pair of Winter Sorel boots each. Cheeky chose the Woman’s ‘Joan of Arctic’ (See what they did there!) and I went for the Classic shaped Men’s 1964 Premium T CVS Boot. When they arrived mine had a choice of black or bright orange laces, so of course I brightened mine up with the orange. We popped them on our feet which was like slipping on a large pair of very comfy and cosy slippers, so comfortable that we decided we would not pack them for our next trip… We would travel wearing them instead, so there was no having to throw more of our gear out just to fit winter boots in. So we readied ourselves for our first trip of the season. Despite what looks like a large boot, my boots did not impede my driving at all, though don’t take my word for it, I would try them in the car before you hit the road. One feature that I liked was that the 9mm thick felt Inners came out which means that they can be washed, dried out and aired. However, my inners seemed to come out every time I took the boots off which caused mayhem when going through airport security! However I fixed this with a little velcro on each ankle to stop them lifting out, which I think Sorel should add to their future designs (My design consultancy invoice will be in the post Sorel). 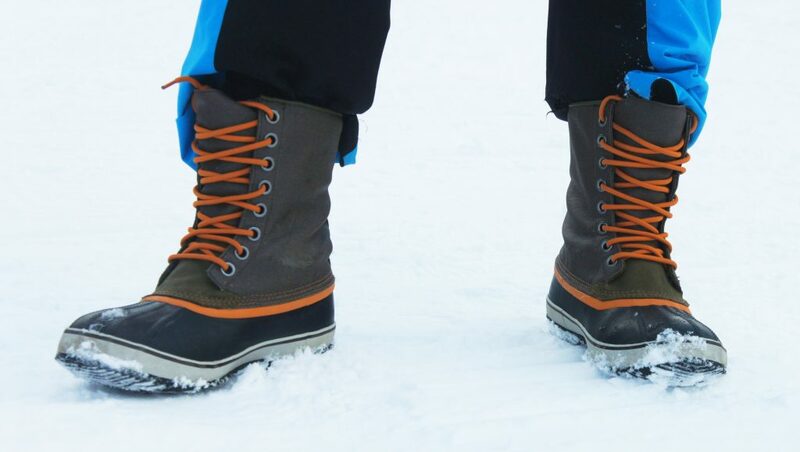 Once in resort, it was time to test them on the snow and in the cold. We were lucky enough to have many opportunities over the season to try them in all sorts of Alpine environments. I never got cold feet whilst wearing my Sorels and Cheeky who is prone to having cold extremities at all times, even when sunning herself on the beach, seemed to be pretty toasty when she had Sorel’s on her tootsies. 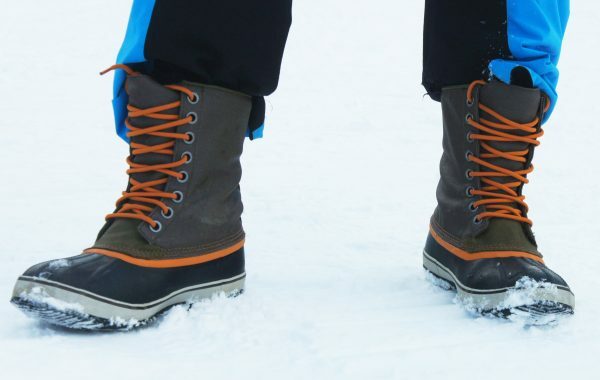 From previous experience in the arctic, boots tend to be a little thicker underfoot to prevent thermal conduction to the snow, so it might be worth looking at some of Sorels thicker boots if venturing a lot further north into the Arctic. 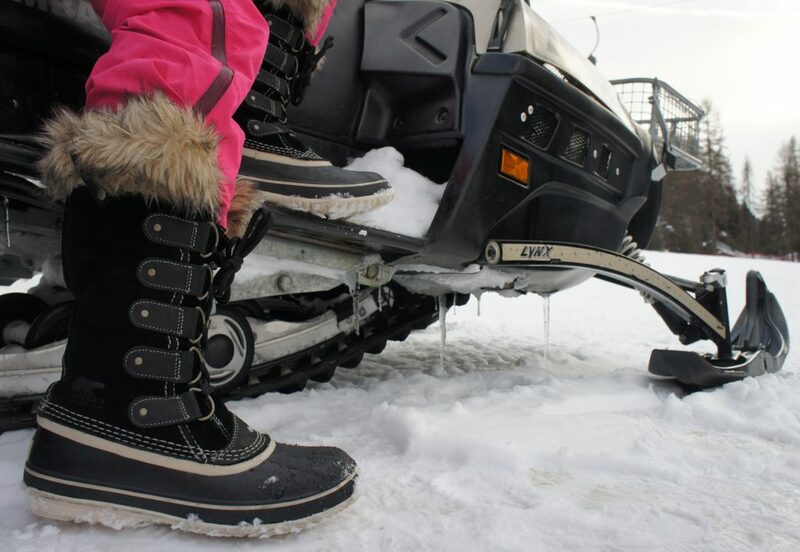 Functionality is top of my list when it comes to winter equipment, but like any Arctic Fashionista I want my gear to look the part at the same time… and both Sorel boots managed to fulfil both requirements. Cheeky’s faux fur trim needed a little preening now and again, but then so does the hair on my head and that does a great job of keeping my brain warm and working… most of the time. So, whether heading out for some Apres Ski, a Skidoo safari, dog sledding or simply visiting Santa to deliver your Yule present list, then make sure you are wearing a pair of toasty warm Sorels and if you do not have a pair make sure you put them on that list for Santa. 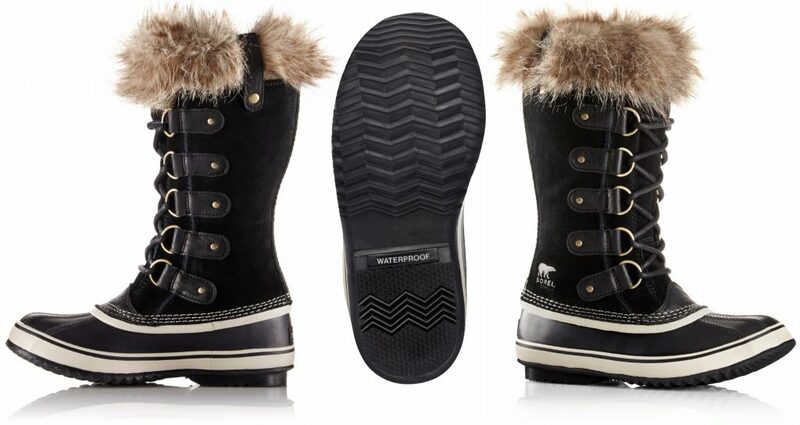 Sorel boots are available online in selected stores worldwide.